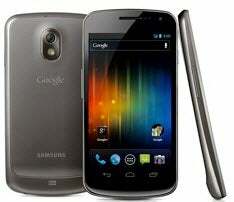 Google is expected to release an updated version of the Galaxy Nexus handset next week, which would likely render moot the temporary lifting of a ban on the sale of the smartphone. That's because the Internet search leader and mobile operating system maker has announced Samsung will be releasing a version of the phone that will be running the latest version of Android (4.1 Jelly Bean). Technology that is subject of a patent infringement dispute with Apple won't be on the new handset. An injunction barring the sale of the phone because it contained technology that infringed on patents owned by Apple was suspended Friday by a federal appeals court, pending a response from Apple. A similar ban on the sale of Samsung's Galaxy Tab 10.1 tablet was upheld by the appeals court. Apple's attempts to prevent the sale of the Samsung devices in other parts of the world have been rebuffed. The sales bans on the Nexus phone and tablet were issued by Judge Lucy Koh, who is handling the patent lawsuit between Apple and Samsung in federal court in California. Issuing an injunction on the sale of a product until a patent trial is completed is unusual. In this case, however, Koh has decided that "although Samsung will necessarily be harmed by being forced to withdraw its product from the market before the merits can be determined after a full trial, the harm faced by Apple absent an injunction...is greater." "Apple’s interest in enforcing its patent rights is particularly strong because it has presented a strong case on the merits," she wrote in her decision to ban the sale of Samsung's tablet. 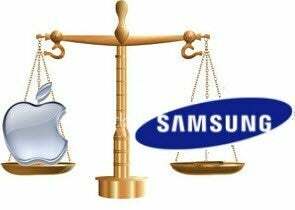 Should Apple lose its case against Samsung, Koh ordered Apple to post a $93 million bond to cover any losses Samsung may suffer from the sales ban. The Galaxy Nexus with Android 4.0 Ice Cream Sandwich debuted in October 2011. The Galaxy Tab 10.1 received an upgrade to Ice Cream Sandwich earlier this year.